Jester Park is a local favorite of ours and it’s easy to see why! With the most unique natural playscape in central Iowa, Jester Park offers an abundance of learning resources. Stroller friendly: Playscape: Yes. Trails: No. The Jester Park Natural Playscape is made out of all natural materials and deigned to stimulate free play in nature. Plan to spend a couple hours enjoying the playscape and more for the entire park. Buckets, shovels, bug catching nets, exploring toys, squirt toys etc. There are no picnic tables in the playscape area. Shelter #6 is the closest picnic area located across from the Bison. 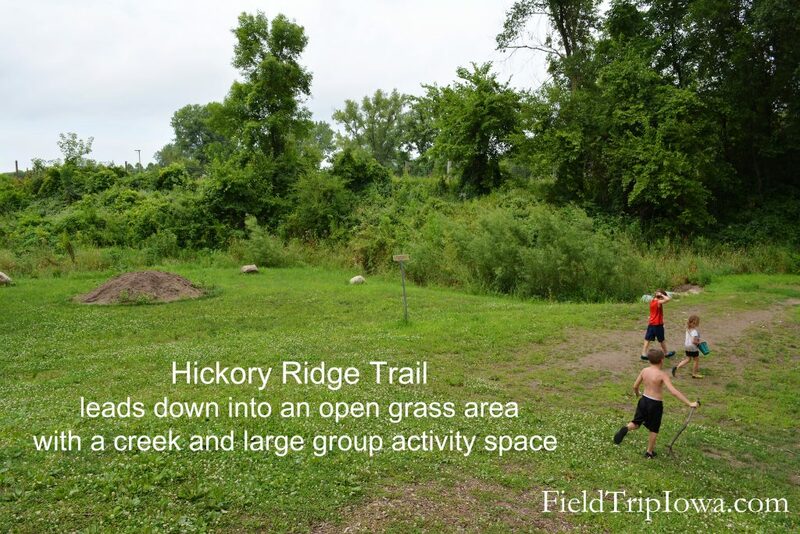 Don’t Miss Hickory Ridge Trail at the bottom of the playscape area. This is a great place for large group activities or imaginative role playing. Bring costumes for even more fun. Let the kids dress up and be explorers, early native Americans or pioneers! While at the playscape, visit the Elk and Bison Educational Plaza and learn all about early Iowa history! Jester Park has a fun large traditional metal playground in the campground near the modern restrooms. There are eight miles of trails and plenty for all ages! The park will soon be building a new nature center. We have enjoyed many of the conservation programs. Call and talk to the program director if you have specific group needs or to arrange a field trip program. I’ve never been, even though I used to live in central Iowa. It looks like a lovely place to spend a day.